Makeup is Delicious!! : Pink Hair, Don't Care!! 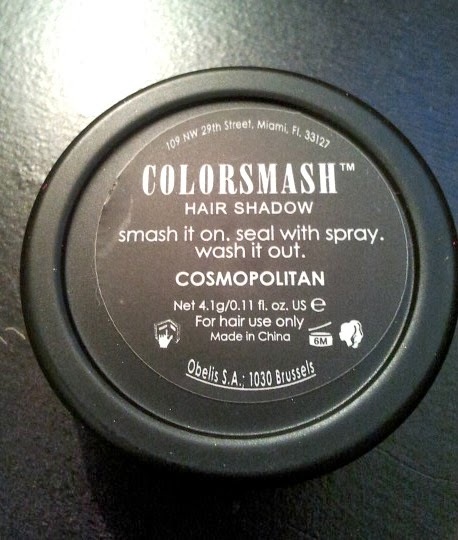 Coloursmash Hair Shadow in "Cosmopolitan"
The directions for the ColorSmash Hair Shadow are: smash it on, seal with spray, wash it out. Hmmmm, smash it on? 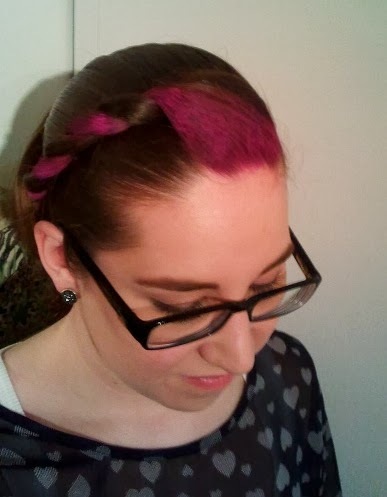 I've heard of people rubbing their hair directly against the product but that method wasn't very effective since the product is in a little pot (some companies make their "hair chalk" in crayon format). I tried using my fingers to apply the product but it was messy! 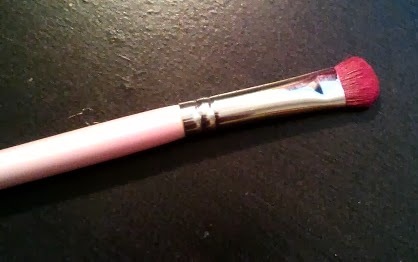 The best way in my opinion is to use a makeup brush. That way you can apply the colour with precision. Just keep adding more product to brighten the colour. I just used this flat shadow brush. The second Step is "Seal with Spray". I sprayed on some hairspray after the application but it seemed to make the colour fade! 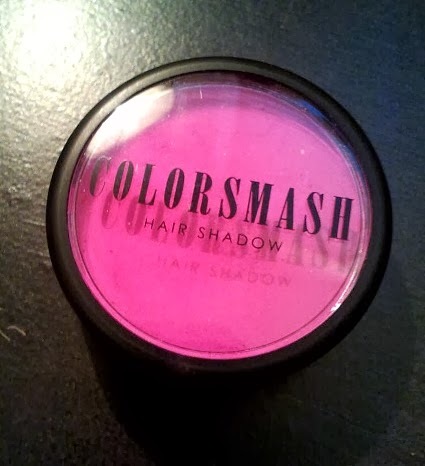 I would recommend just taking the Colorsmash product with you and touching up as needed. Mine was still pretty vibrant after a full 9-5 day's work. I had dinner plans in the evening so I touched it up a little before going. 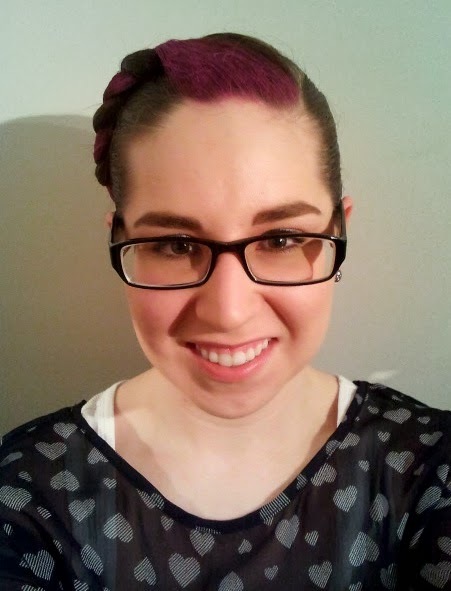 When I got home from dinner I washed my hair as usual and no traces of the product remained. Oh my that looks awesome!! Its such a fun concept. I should definitely have got this when I was going through my 'I wanna dye my hair pink' phase. Thumbs up for the resourcefulness of using a makeup brush.